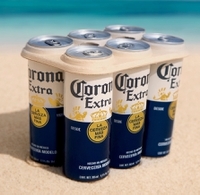 28 Nov 2018 --- Corona will become the first global beer brand to trial 100 percent plastic-free six-pack rings. The new rings will be piloted in Mexico at the beginning of 2019, with further tests in the UK planned for later in the year. Corona announced that it will pilot plastic-free six-pack rings in select markets as part of the brand’s commitment with Parley for the Oceans to lead the industry with eco-friendly packaging. 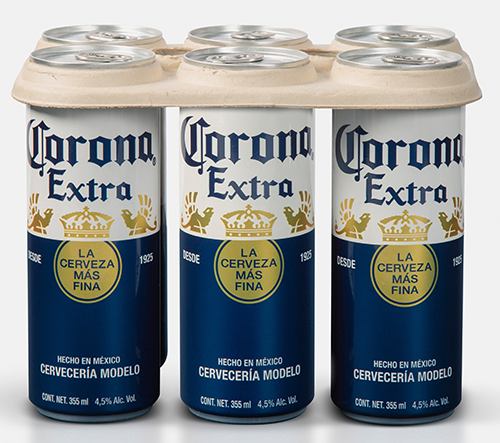 Although Corona is primarily packaged in glass and fiberboard, the brand sees an opportunity to help redesign a common source of plastic in the category: six-pack rings. The plastic-free rings being tested are made from plant-based biodegradable fibers, with a mix of by-product waste and compostable materials. If left in the environment, they break down into organic material that is not harmful to wildlife, whereas the industry standard plastic six-pack rings are made from a photodegradable form of polyethylene that results in increasingly smaller pieces of plastic if not recycled. Although most plastic rings are recyclable, the reality is that the majority of all plastic ever created hasn’t been recycled, according to The Economist, which is the motivation for brands like Corona to pursue solutions that avoid the material entirely. That journey starts in the brand’s homeland of Mexico, where the plastic-free rings will be piloted in Tulum at the beginning of 2019. With roughly 8 million metric tons of plastic entering the ocean each year, according to National Geographic, there is a need to confront the issue on multiple fronts, which is why Corona has adopted Parley’s A.I.R. strategy to not only “avoid” and “intercept” plastic as much as possible, but also help “redesign” solutions that use the material. “Our oceans are under attack. We are taking their life in rapid speed, destroying the chemistry that allows us to be here. Therefore we are bidding on the few who take the lead in true change,” comments Cyrill Gutsch, Founder and CEO, Parley for the Oceans. 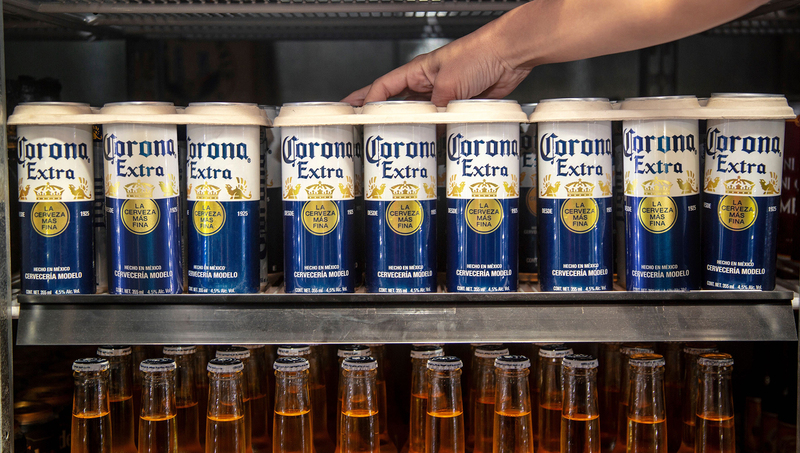 “Corona is one such Ocean Champion, a powerful ally in our war against marine plastic pollution – and in building the material revolution that will lead us beyond it. We share the goal of phasing plastic out for good because we simply can’t afford its toxic impact anymore,” he says. “A few years back, US-based Saltwater Brewery launched the world’s first edible six-pack ring – E6PR (Eco 6-Pack Ring). It is bio-based material derived from wheat and barley by-products of the brewing process as well as other compostable materials. On its website, Saltwater claims that its product ‘does not cause harm to wildlife in case of ingestion.’ Also, ‘if left on open land or open water system it will degrade within a matter of weeks,’” adds Coles. Parley for the Oceans is the global network where creators, thinkers and leaders from the creative industries, brands, governments and environmental groups come together to raise awareness for the beauty and fragility of the oceans and collaborate on projects that can end their destruction. The organization has formed alliances with major corporations including Adidas, Anheuser Busch InBev (Corona), American Express; the United Nations; the Maldives and collaborators spanning the worlds of science, art, fashion, design, entertainment, sports, and space and ocean exploration. Wave goodbye to that (plastic) six pack? Anti-plastic rhetoric is creating a shift within the beer category towards plastic-alternative packaging. Another notable example is the recent launch of Carlsberg’s Snap Pack, an innovation that replaces the traditional, bulky plastic rings that accompany multi-packs of beer with a pioneering solution that instead bonds beer cans together with recyclable glue. This technology is set to reduce plastic waste globally by more than 1200 tons a year – the equivalent to 60 million plastic bags, according to the Danish brewery. Simon Boas Hoffmeyer, Head of Sustainability at Carlsberg, spoke with PackagingInsights during the recent Packaging Innovations show in London, explaining how he sees more eco-friendly packaging as a key selling point in today's competitive beer market. Richard Coles highlights that because the Snap Pack uses recyclable glue to hold cans together, it thereby obviates the need for plastics rings with their associated ecological risks. “This material reduction option would seem a preferable resource efficient and sustainable solution,” he concludes.